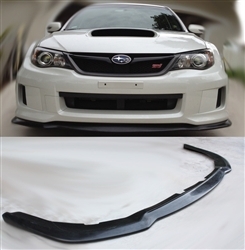 Our polyurethane bumpers and lips are made in the USA using the highest grade materials which hold memory, meaning if a part is bent out of shape, just let it settle in the heat for a few hours, and it will return back to its original shape, this is the beauty of true, high quality polyurethane. Ever, if you are concerned about receiver a polyurethane part that is warped, or bent, just simply let it sit flat in the sun for a few hours, and it will straight up itself. 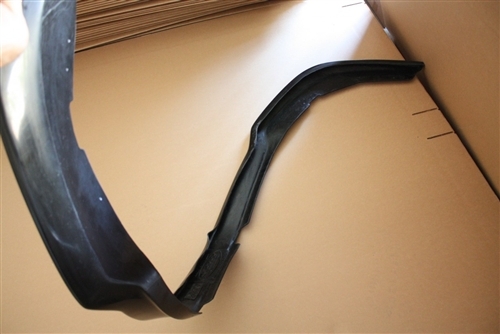 How flexible is our polyurethane parts? Well, put it this way, if you were to stand on one of our front lips and twist it around a few times, it wouldn't be an issue. We guarantee that our polyurethane bumpers and lips won't break upon impact with objects and scraping driveways.